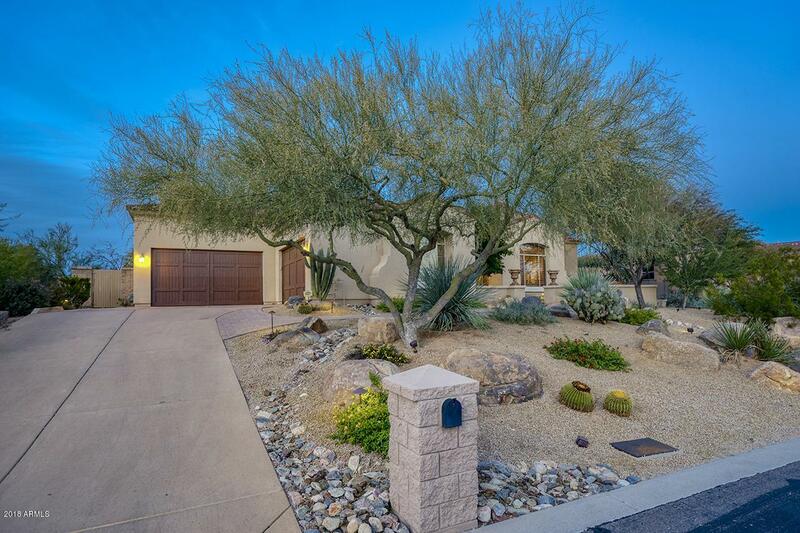 Desirable location in the heart of North Scottsdale, gated Vista Monterey is centrally located and minutes from shopping, hospitals, and restaurants, yet feels removed from the hustle of the city. 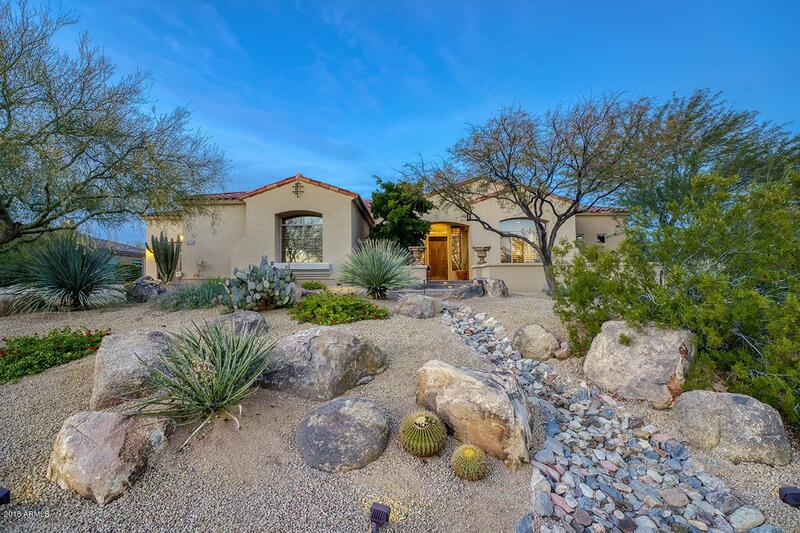 Beautifully elevated and set back with mature landscape and entry courtyard this home has a charming first impression. Spacious and functional home design features split bedroom layout with 4 generous sized bedrooms, 4 baths, office, bonus room and home theatre. Timeless stone and wood flooring, 4'' plantation shutters, and full size 4-car garage. 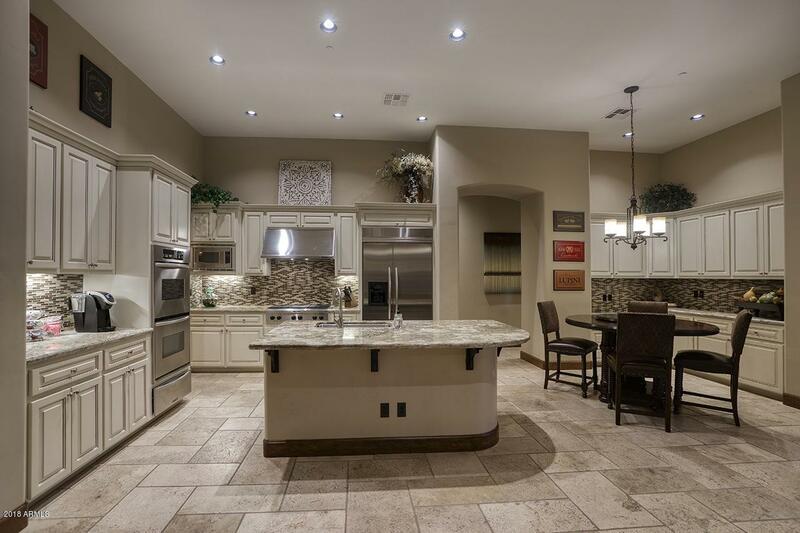 Well-appointed kitchen with large eat in island and generous countertop space, features stainless appliances with 6 burner gas cooktop, double ovens with warming drawer, granite tops, chic white cabinets and a built-in desk.